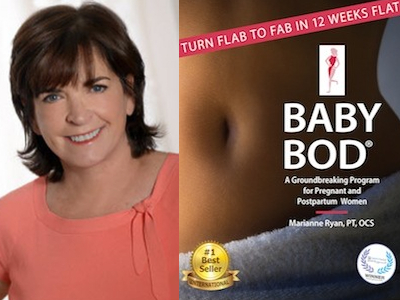 Congratulations to Marianne Ryan for her #1 International Bestseller, Baby Bod! A Groundbreaking Program for Pregnant and Postpartum Women! Marianne Ryan PT, OCS, is an award-winning author and a leading Women’s Health Physical Therapist with over 30 years experience. As a mother of two, Marianne is passionate about helping women prepare for childbirth and restore their bodies afterwards. 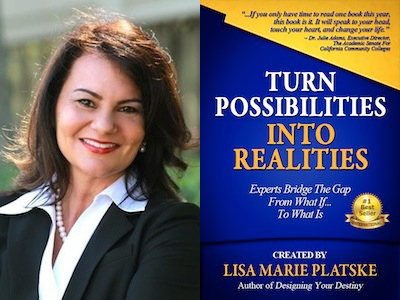 Congratulations to Guylaine Saint Juste, Featured Co-Author in the #1 International Bestseller, Turn Possibilities Into Realities! Guylaine Saint Juste is a Business Banking Executive at one of the largest banks in the U.S. She provides strategic oversight, cultivates a culture of purpose and significance, and creates a learning organization where a team of professionals can provide good advice and expertise to clients in the emerging market. Her passion is to help her team, her clients, and her community to scale, grow, thrive and prosper. 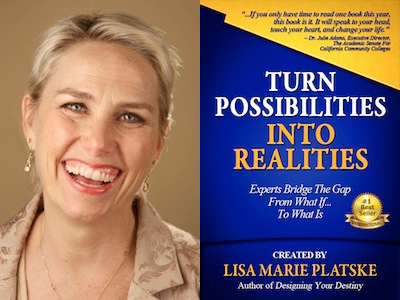 A thought leader with a keen sense of “perceptual acuity,” she is adept at creating a culture of intention and purpose where human capital grows, learns, performs, and contributes. A dynamic, enterprising, and seasoned executive, Guylaine brings broad-based management and leadership experience in retail and commercial banking, talent, operational and organizational strategy development, leadership and implementation of major business lines/units. These skills help her improve performance and profitability, and brand development to deeply enhance value and competitive positioning. 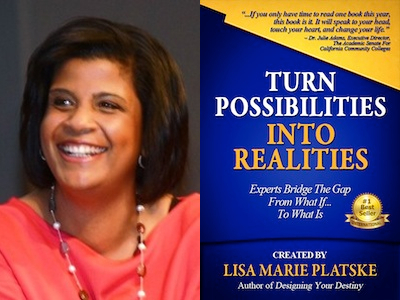 Congratulations to Ann Marie Johnson, Featured Co-Author in the #1 International Bestseller, Turn Possibilities Into Realities! Ann Marie Johnson serves as the Planning and Performance Manager for Chevron’s Environmental Management Company. Her role is to build the company business plan, steward safety, and align key company resources with client needs. She has more than twenty years of experience in project management and is a Lean Sigma Black Belt. Ann Marie was a founder of the Chevron Women’s Network, which promotes diversity and mentoring for women within the company. Her areas of expertise are in strategic planning, intellectual property management, technology deployment, facilitation and customer satisfaction. Ann Marie holds a BS in Chemistry and a BA in Sociology from Drake University, along with an MBA from Santa Clara University. She has extensive non-profit Board of Director experience and specializes in fundraising. A married mother of two, Ann Marie enjoys reading and creative writing. 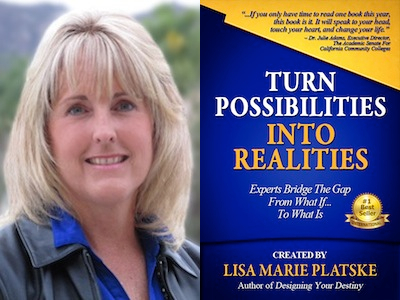 Congratulations to Susan Kerby, Featured Co-Author in the #1 International Bestseller, Turn Possibilities Into Realities! Susan Kerby is known as an inspirational author, speaker, and trainer. She has been setting stages and hearts on fire with her impassioned message for over thirty years. She is on a mission to help emerging thought leaders find their heart’s voice, and align it with their presence and message, resulting in divinely inspired success that changes lives. 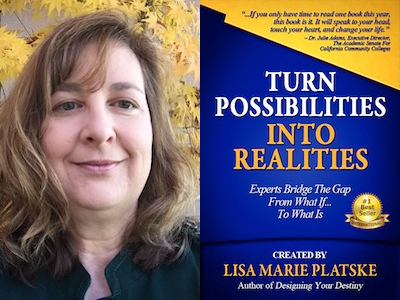 Congratulations to Celeste Ducharme, Featured Co-Author in the #1 International Bestseller, Turn Possibilities Into Realities! Celeste Ducharme strives to make the conscious choice to motivate, mentor, encourage, and lead others by example. With a degree in Business Management, and over two decades experience in high-level performance in sales, buying and marketing and management for two high profile companies, Celeste works passionately to create successful, caring, and highly motivated work environments. 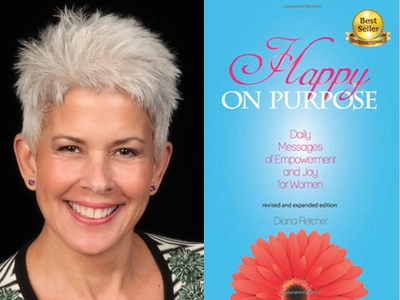 Congratulations to Diana Fletcher for her #1 International Bestseller, Happy on Purpose! Daily Messages of Empowerment and Joy for Women – 2nd Edition. Life Coach Diana Fletcher is The Stress Reducing Expert. She is a master at helping her clients reduce their stress and live healthier more balanced lives. She helps them take action and learn to pay attention to the ways in which they are living and managing their lives. Diana’s energy and enthusiasm for health and wellness inspire the individuals she works with to take charge of their health, reduce their stress, and enjoy their lives in a wonderfully healthy and balanced way.